Many people ask the question, how to prepare my snowblower ready for winter season and what will it cost? Bottom line is that if you do nothing, one cold winter morning you may find that your snow blower will not start for you. With piles of snow in your driveway your left with clearing snow manually or asking a friend for help. It turns out that it is pretty easy to prepare your snow blower for the winter without incurring a large expense. Snow blowers are heavy and it is difficult to transport them to the repair shop unless you have a truck or a trailer of some kind. So doing basic maintenance can save you a great deal of money. Transportation, the mechanics charge and parts can add up to several hundred dollars pretty quickly. Basic maintenance can defer or eliminate this expense. If you are really uncomfortable doing the above, then you will need to arrange for someone to perform this basic maintenance. Perhaps a neighbor is comfortable doing this work and would be willing to help you. Pay attention and learn how to do this maintenance yourself. It can save you a lot of frustration and cost. There is nothing worse than a failing snow blower on the heaviest snowfall day of the year! It is time to start thinking about doing snow blower pre season maintenance. It is still not that cold and relatively comfortable to work outside on equipment. Much more than after that first snow fall and you are trying to start your snow blower for the first time in the cold weather. A snow blower is pretty basic, however there are a number of things that you can do to ensure that it runs smoothly for you on the first day of winter after a large snow fall. We will list them and then give you a bit more detail on each. 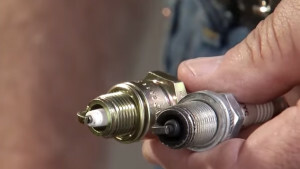 Check Spark Plug – remove the spark plug, clean the electrode and reset the gap. If badly corroded, replace with a new one. 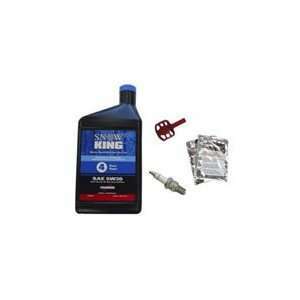 Test Start with Fresh Gasoline – add fresh gasoline that has been treated with conditioner. Start your engine and let it run for 5 or 10 minutes to ensure there are no problems with the filter and carb. Clean Carburetor if Needed – if your engine is difficult to start or runs roughly, then you may need to have the carb cleaned. Test Auger and Impeller – make sure the auger and impeller are clear and then engage to confirm proper operation. Oil Change – drain the engine oil into a pan, and reinstall fresh oil in the engine following the manufacturers instructions. These are the basics of getting your snow blower ready for the coming season. Anything more serious may need the services of a small engine mechanic. If you have not already completed your snow blower end of season maintenance, it is time to do it before the winter season arrives. No one wants to do this kind of work in the cold weather. Although you really do not want to think about winter it is really just around the corner. It is time to get your equipment tuned up and ready. Over the years we have found that regularly maintaining your snow blower will add many years to its life. Possibly to yours as well. It can be quite frustrating to find that your snow blower will not start on the first day of a really big snow fall. Your snow blower will run better, smoother and at full power with new spark plugs, properly tension-ed belts and fresh engine oil. Clean fresh gasoline helps as well. We put together a list of items that should be part of your standard checklist for end of season maintenance or preparation for the coming season. Don’t procrastinate, get going now and get your snow blower ready for the coming season. For more information about repairs and maintenance, click here. Regardless of when you decide to complete maintenance on your snow thrower, there are eight areas that consumers should focus on. Obviously it is better to do this maintenance in the spring or summer time when it is warm. However you can perform these snow thrower maintenance tips any time during the year. Even when it is cold and the beginning of winter has begun. But do you really want to perform this kind of maintenance in the cold weather? I prefer to do this in warm weather. Just when it warms up for the spring season after the snow is gone. Here are eight tips that all consumers should consider to keep their snow thrower machine running smoothly all year long. Inspect the shave plate – It should not be loose and about 1/4 inch above the surface if you are clearing snow off a paved driveway. Higher if on gravel. Reverse the skid shoes – Check the skid shoes. If they are beginning to show signs of wear, reverse them. Tightly secure the skid shoes. Conform the shear pins are ok – Replace them if they are showing signs of being sheared off. Add fresh gasoline with stabilizer in the gasoline – This will ensure that the tank and filters do not get gummed up by old gasoline that is beginning to separate into its component parts. Regardless of when you decide to complete maintenance on your snow blower, there are eight areas that consumers should focus on. Obviously it is better to do this maintenance in the summer time when it is warm. 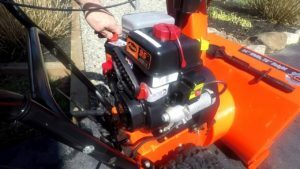 However you can perform these snow blower maintenance tips any time during the year, even when it is cold and the beginning of winter has begun. Here are eight tips that all consumers should consider to keep their machine running smoothly all year long. Inspect the belts – Are they beginning to fray or coming apart? Properly set the tension of the belts. Reverse the skid shoes – check the skid shoes. Check them for signs of wear. Reverse the skid shoes. Tightly secure them. Check the shear pins – replace the shear pins. Add fresh gasoline with stabilizer added – this will ensure that the tank and filters do not get gummed up by old gasoline that is beginning to separate into its component parts. 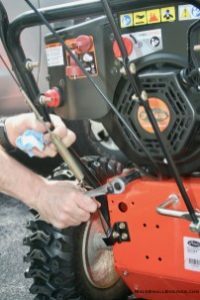 You may not be thinking about doing snowblower spring maintenance in the spring, but this is actually a great time to get this task completed. One of the big advantages is that you drain all of the fuel out of the system before it has a chance to gum up the carb or the fuel lines and filters. 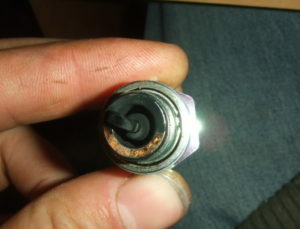 This situation can cause your engine to he very difficult to restart in the fall. Another advantage is doing your lawn mower maintenance at the same time. You can save time and also complete two jobs in a lot less time than if you tried to do them both separately. Grease the auger, oil the housing, check belts for tension and wear. Change the oil and complete any other repairs that may be needed. If you do this work now, your repairs can be completed while the weather is warm. Parts can be ordered and received in lots of time prior to the next season. In summary, the following should be considered as part of your snowblower spring maintenance routine. 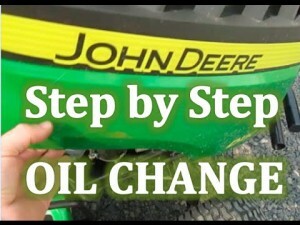 While you really do not need to have the John Deere oil change manuals in front of you when you are changing the oil it is a good idea to review it ahead of time. We are going to cover the step by step generic process to change the oil in a snow blower. You will need to confirm the viscosity of the oil that should be used in your particular John Deere snow blower. We also suggest that you review all safety precautions for your snow blower prior to doing any kind of maintenance including the oil change. Here is your step by step process for an oil change. If there is too much you will need to drain some out. Check the oil level prior to starting the engine. Do this each time you use it to ensure there is sufficient oil in the engine. While it is pretty straight forward, care should be taken to avoid spilling oil on the floor of your garage or on the ground. Place a drip sheet under the snow blower if this is a concern. Follow all proper safety precautions as outlined in the manual.